Laura Dern talks about portraying powerful female characters at CES. 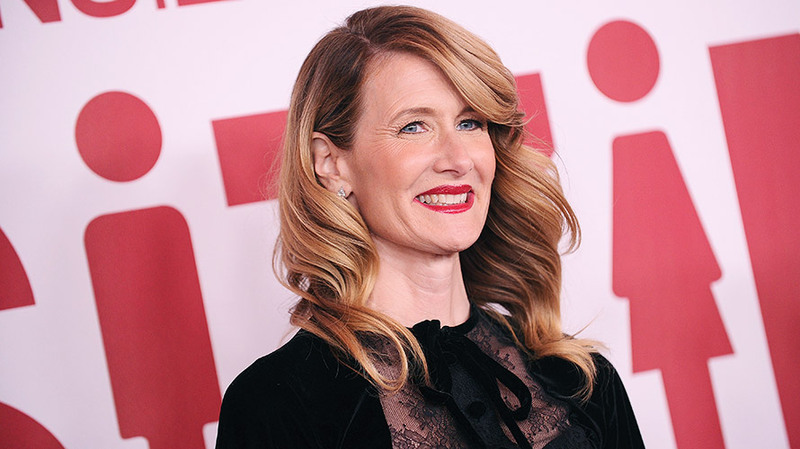 Fresh off her powerful acceptance speech at the Golden Globes for her role as Renata Klein in HBO’s hit Big Little Lies and her part as a leading character in the new Star Wars: The Last Jedi, Laura Dern wants to play more complex and culturally relevant characters, which is something she says audiences desire. 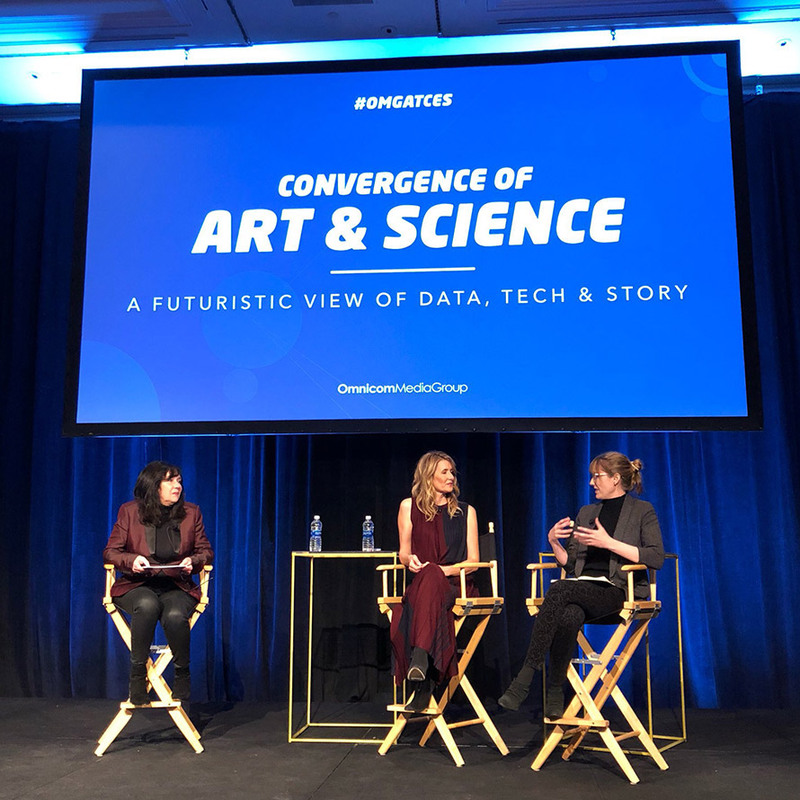 During a panel hosted by Omnicom Media Group at the Consumer Electronics Show last week, Dern and Beth Altringer, Ph.D, founder and director of Harvard’s Desirability Lab, talked about the role that technology and innovation plays in Hollywood and filmmaking. Claudia Cahill, Omnicom Media Group’s chief content officer, moderated the 45-minute talk and asked Dern what she looks for in picking projects to work on. According to Dern, her upbringing by two actor parents—Diane Ladd and Bruce Dern—encouraged her to go after diverse roles. Take her latest Star Wars role, for example. Dern plays Vice Admiral Holdo, one of a handful of women characters that fans of the iconic franchise have praised as strong leaders in the film. “Star Wars in its storytelling looks forward to engaging in the area of diversity and sexuality—they talk about it a lot in this film,” she explained. Diversity and authenticity also drives how Dern plans to work with brands in the future. In terms of technology, Dern is a board member of the Academy of Motion Picture Arts and Sciences (or AMPAS) and is working on including technology like computer-generated imagery as qualifications for actors to be nominated for awards. Altringer’s work at Harvard’s Desireability Lab focuses on using data to understand why people like or dislike certain things and what can be extrapolated from that data to help creators make better stories. In one example, Altringer and her team are analyzing taste and building a database of taste profiles to better understand how people determine what something tastes like. While brands and filmmakers are increasingly focusing on women, there is still much work to do. A few years ago, Altringer worked on a project to find out what the older woman equivalent of Dos Equis’ iconic Most Interesting Man in the World would be like. 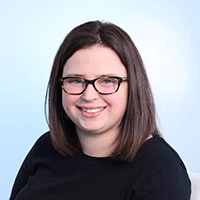 Lauren Johnson is a senior technology editor for Adweek, where she specializes in covering mobile, social platforms and emerging tech.